When I was little pineapple freaked me out. All kids go through a phase were they will only eat certain things. Then we grow out of it. 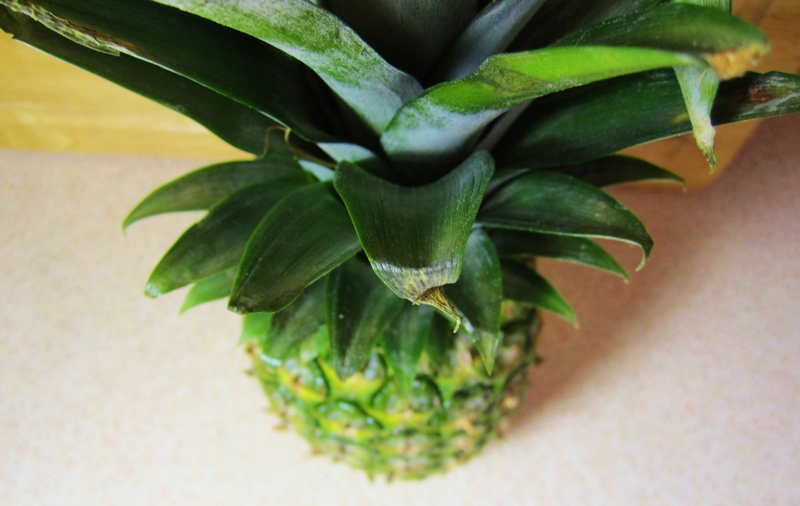 Pineapple was something that I never really grew out of until I realized that I had never actually eaten pineapple. I finally tried it…. Oh man was I missing out all these years! So I went on a hunt for recipes with pineapple in it. I came across this recipe. It’s low fat, quick and really yummy! I haven’t really done a recipe for an actual meal on this blog yet. So I hope you try this at home for your family. I know they will love it. Maybe you can even convince your kid to try this grilled pineapple. First put your pork chops in a plastic bag (or a Tupperware) with the pineapple juice. Let this marinate for at least 1 hour. In the meantime, go ahead and mix your rub for the meat. 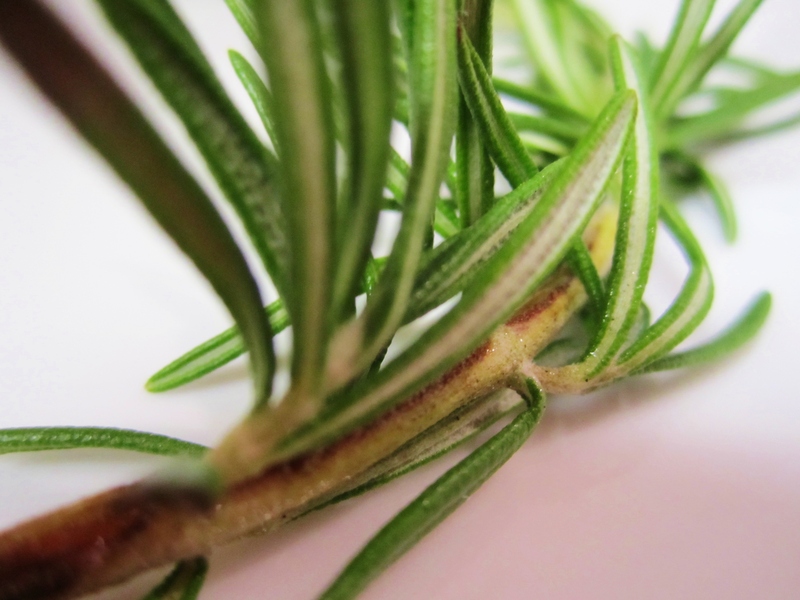 Combine the rosemary, (I really encourage you to use fresh rosemary. The taste is so different from the dried herb.) 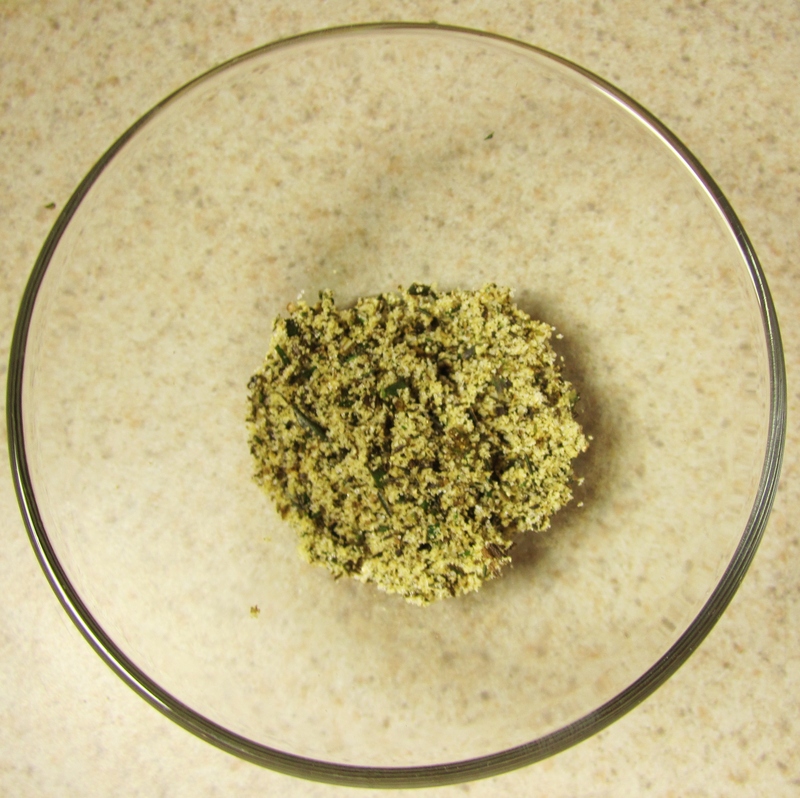 garlic powder, salt and pepper in a small bowl. Go ahead and measure out your teriyaki sauce in a small bowl as well. Cut your fresh pineapple in to chunks. I had no idea how to cut a fresh pineapple. So I googled it and found this sitethat shows you how to cut it. Get your grill pan ready. The pan needs to be hot when you put the meat on. I cooked this on medium high heat. Rub your seasoning on the pork chop before you lay it on the grill pan. Once you have placed all the meat in the pan, spoon about a 1/8 of the teriyaki sauce on to the pork. Once that side is seared then flip and do the same on the other side. The pork chops need to be cooked to 160 degrees. Remember that the meat will continue to cook once you have taken off the heat. Careful pork easily overcooks and dries out! Do not overcook! 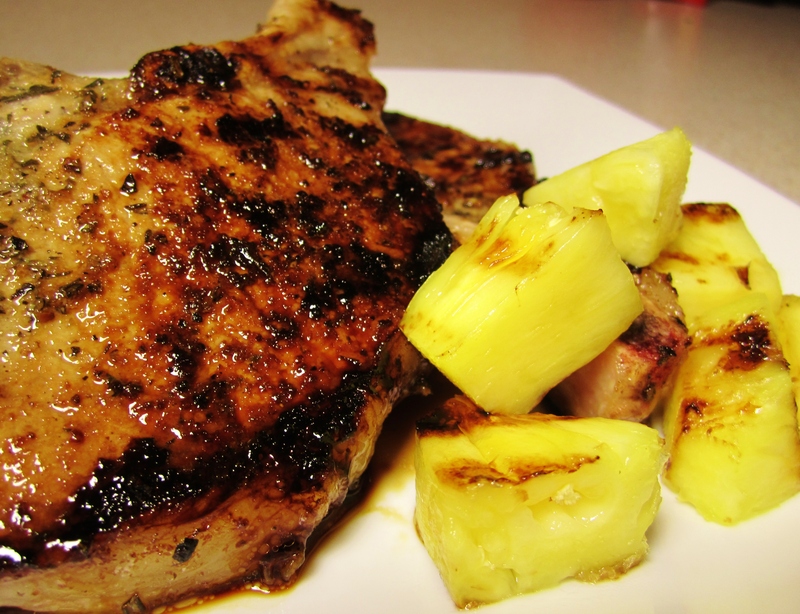 Once you have fully cooked the pork chops and removed them from the grill pan, place the pineapple chunks in the pan. Let them cook for long enough to mark them and then flip. This is so good. It heats up the pineapple a little and mixes with the saltiness from the meat rub. You can serve this dish with rice, spinach or any kind of green. Entry filed under: Uncategorized. Tags: Culinary, grill, meal, pineapple, pork, pork chop, Recipe, rosemary, teriyaki. Looks delicious, love grilled pineapple!